Buddenbrookhaus in Lübeck invited us to design the exhibition "Geschichten von der See". 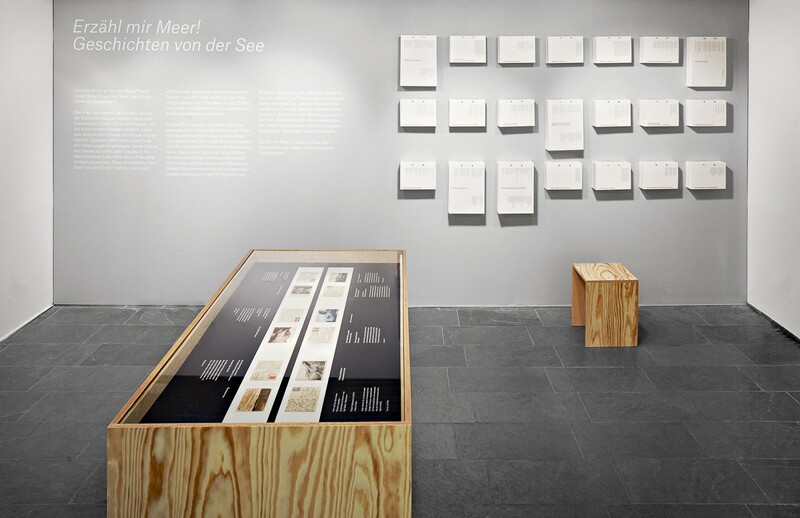 The exhibition is divided into two parts and presents a digitally oriented scenographic excerpt of Thomas Mann's famous novel "Die Buddenbrooks" as well as a broad variety of literature focusing on the sea as a theme. 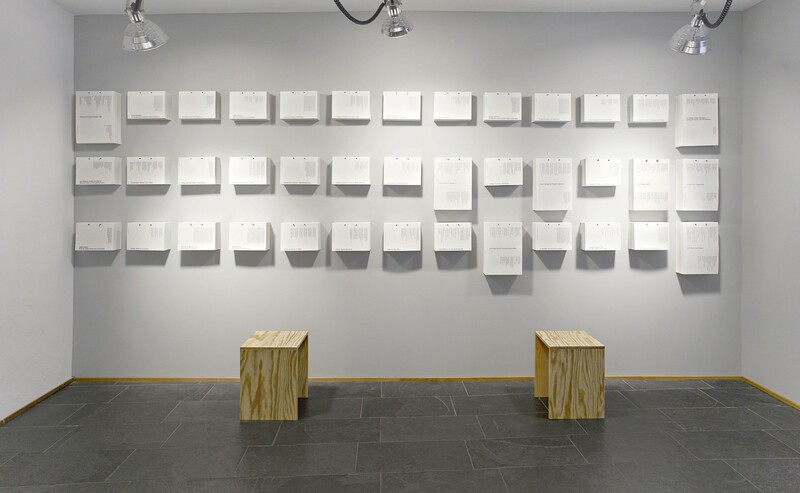 The visitor is invited to create a personal exhibition folder by picking up text copies from the wall. We were asked to develop an exhibition for one chapter of the novel. In this course the ocean as the literary subject of this particular text as well as the subject of a large number of occidental literature and poetry should be presented. 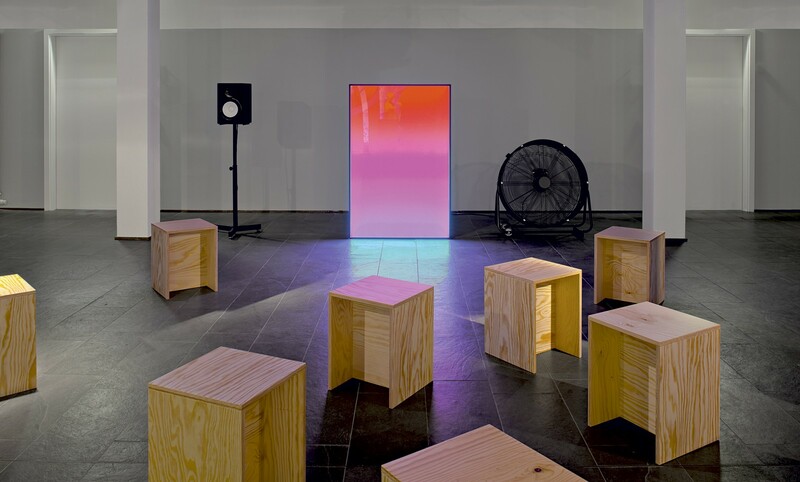 By searching for a new and unexpected way to exhibit literature, we diagrammatically transferred the chapter into sound, light and wind – each representing one aspect of the text. In addition to that, one hundred further text copies are made available at the walls and can be collected by the visitor in order to create a personal exhibition folder.